eclipse | Catrina Latrice Williams. The United States is prepared for this beautiful, rare eclispe. Historians say the last eclipse happened almost a century ago. 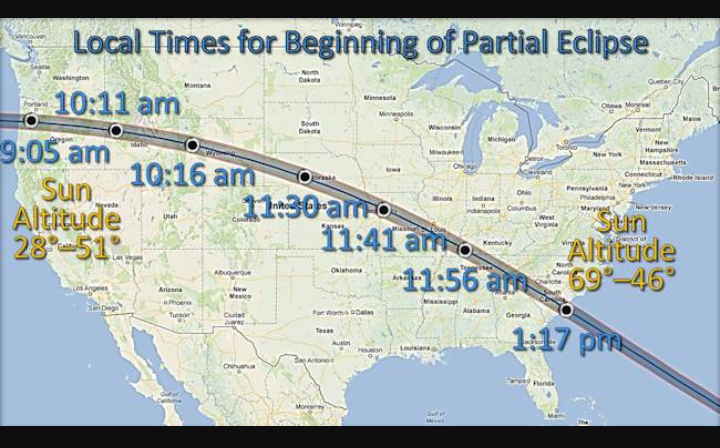 This eclipse is one-of-a-kind because it will end up crossing the US instead of the deep ocean. An eclipse happens when the moon completely covers the sun, leaving a shadow behind. According to Google, this mysterious event will happen on Monday, August 21, 2017. The time will be based on your location. It will cross a 65-mile-wide path from Oregon to South Carolina. 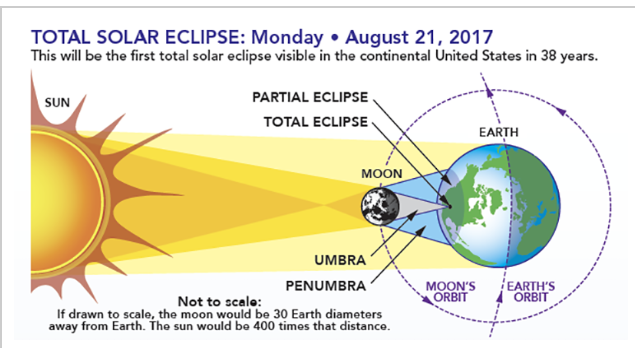 Find more details about the eclipse at http://www.eclipse2017 nasa.gov. It is expected to reach Charleston, SC between 2 PM and 3 PM. Charleston SC is preparing for millions of people to visit for the eclipse. 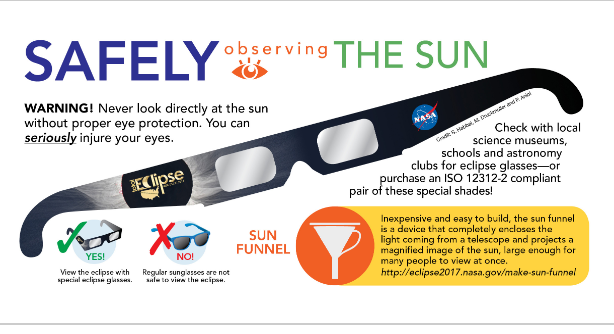 People can find Eclipse glasses on Monday, August 21st at the Charleston County Public Libraries (Otranto Rd), Charles Towne Landing (Old Towne Rd), Wood’s Ace Hardware (Old Trolley Rd) and more locations. 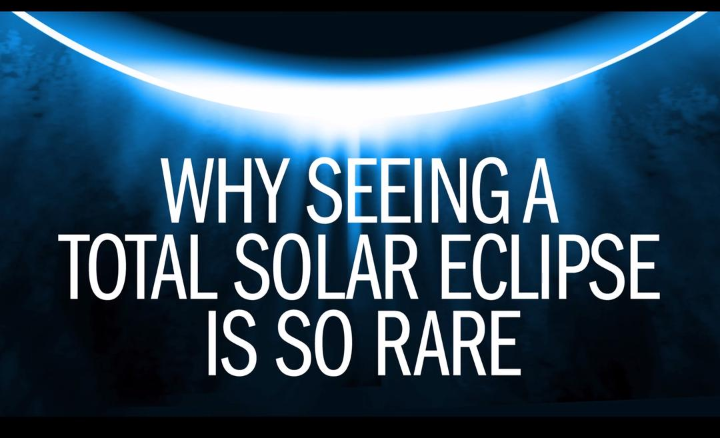 Click here to find out who’s having an eclispe viewing event. Note: Do not look up at the sun with your bare eyes because it could blind you. Subscribe to my page to get live solar eclipse video and photos. I’m excited to take live videos and photos because I live in the heart of Charleston.